This is a 23-slide fully editable PowerPoint presentation to instruct students on how to give an oral presentation or speech. 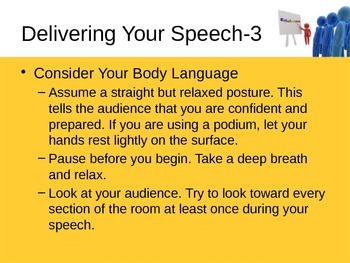 This is specifically geared to a persuasive speech, but most of the points apply to all types of oral presentations and speeches. 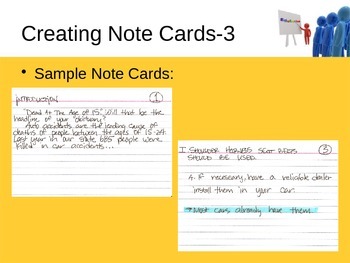 Presentation also includes examples of note cards and a scoring rubric for oral presentations/speeches. 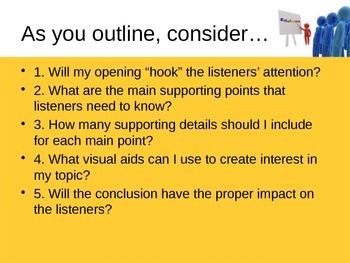 The presentation can easily be edited and used for any discipline! Thanks for considering this!